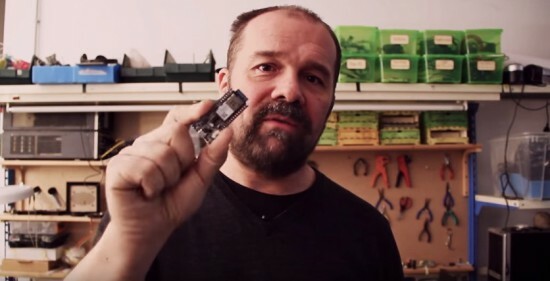 Massimo Banzi, CEO of Arduino.cc created a video to invite you to the World’s Largest Arduino Maker Challenge in collaboration with Microsoft and Hackster.io. Participate with your IoT idea and take the chance to win twice! We are giving away 1000 new Arduino MKR1000 (US only) and Genuino MKR1000 (Outside US) boards , for the first time ever, and other amazing prizes like Maker Faire trips, Adafruit gift certificates and a video production about you and your work. Watch the video and register as a participant! Mini rant here… So really only available to users who are going to use Windows 10 …Really !… Killing a lot of useful ideas from a lot of very bright people the world over right there. C’mon Arduino level the playing field. The amount of Arduino people using Linux, Macs, and anything from Vista up to Win 10. Still on 7 x 64 pro here and don’t see much in 10 to convince me just yet. @Ballscrewbob This competition is sponsored by Microsoft so this time we are working with their technology. Having said this, if you build something that interfaces to the Azure Cloud there is no need to use Windows 10 to develop the code, windows 7 won’t be a problem. OK tried to sign up for Azure “try it for free”…”Try it now” but it wants me to give it lots of details inc a “work phone” which you “MUST” fill in.I gave it a number for the next section and you HAVE to agree to a “subscription” agreement. If you read the subscription agreement you are agreeing to buy from Microsoft. So does this mean its a pay to enter competition ? I love my Arduinos but am worried that I may be agreeing to something that’s going to cost me or that I am going to be subscribed to microsoft emails that I don’t really want other than the ones I am opted into for technet etc. Good luck with the competition anyway but it looks like I wont be allowed to enter. Ok it also wants CREDIT CARD DETAILS so this is a big NO-GO for me. I read the contest brief and one must use Azure and develop a Universal Windows App (UWA). And all references are to Windows 10. In other words: this is for Windows 10 people only. So the correct title should be “Enter the World’s Largest Arduino Maker Challenge For Windows 10 Users”. “They are sponsoring and supporting makers very generously” Not all, only the ones with Windows 10. Anyone has reliable statistics on how many those are? “Windows to connect to Arduino with an “app” is a new way of doing things. ” Maybe new to Windows but not for Android, iOS, etc. You know that, don’t you? Or is this a surprise to you? “End of day its all about learning, sharing” this is laughable, sharing? Sharing a microscopic portion of corporate profit to fund a contest? Sharing your Windows 10 users’ code for a “precious board” as a prize? It’s a fun contest but OK, not for everyone. Send me a private emails with any feedback, all welcome: adam@hackster.io. Happy 2016 everyone! This competition is a shame for an open source project. Forced to provide private data, forced to use a new software for publicity forced to use special and in the end services you have to pay for … I really love Arduino and I love the open source approach and the open minded people. But this competition seems to be not open, no data economy, no focus on privacy. @Clemens: Let’s not be hypocrites. Everybody loves open-source. Unfortunately, 90% of us love open-source because it’s free as in free beer. Asking money for something (a product, a service) is not a bad thing. The guys who develop open-source, must make a living also, don’t they? They have got families to feed, children to educate. Do they ask too much if they want to have a … revenue? I don’t think that the association between Arduino and Microsoft (or any other commercial entity) is a bad thing. By any means, Arduino doesn’t bring shadow on it’s open-source vision (which is an idealistic approach, but which is copied and counterfeited soooo much…).